The African Literature Association, as so many throughout the world, celebrates the life and example of President Nelson R Mandela even as we are deeply saddened and we mourn his joining of the ancestors. 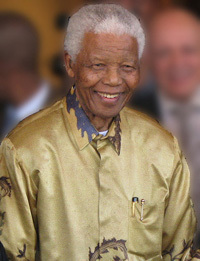 Recognizing quite early and demonstrating throughout his life that there is No Easy Road to Freedom, President Mandela inspired the ALA and millions of people around the world that, in word and in deed, there are no substitutes for moral courage and a sincere belief in the dignity of all humans. He set for us an example that is sui generis and for that we shall always remain grateful and motivated. As scholars of African literature, we are fortunate to claim contemporary classics such as Mandela’s autobiography, No Easy Road to Freedom, and his memoirs, The Long Walk to Freedom, as part of our field of study but it is the great man’s combination of intellectual stimulation, adept practical considerations, and a genuine love for his fellow human beings that will remain his abiding legacy. We look forward to meeting in April 2014 in Johannesburg for our fortieth conference, our first in South Africa. This is where you started your Long Walk for Freedom Madiba. May we follow your inspired example as we say farewell to you, our moral and ideological Mentor. May the ALA remain committed to furthering your ideals and to strive, as we always have, for academic freedom and access to Academia for all. Tata Madiba, Hamba Kahle! May you rest in peace. May your family as well as our colleagues and friends in South Africa whose losses are infinitely greater than ours receive the expression of our deepest condolences.